So you’ve finally decided to take the plunge and switch to a electric shaving. Great! Shaving is an integral part of our daily life as men and we should aim to make it as enjoyable and pain free as possible. Using the right electric razor can really transform your shaving experience and ultimately make it seem less of a chore. Regardless of your reasons for switching sides and joining the electric camp, you will be faced with the task of choosing your first electric shaver. And from my own experience, it can be pretty difficult. There’s a plethora of options out there and often conflicting information. But fear no more, as in this article we’ll address all the important bits and we’ll even share some of our favorite shavers that will make great choices for first time users. Let’s dive in! 1. Don’t overlook running costs and have a clearly defined budget. I remember that in my wet shaving days, multi-blade cartridges were crazy expensive and the costs added up pretty quickly over the course of one year. One of the side benefits of electric shavers is not having to spend money every month on refills. You do however have to replace the cutters and foils, but usually only once every 12 to 18 months. Having said that, make sure you do some research with regards to the cost and availability of replacement parts before buying a particular razor; some can cost almost as much as a brand new shaver. You can check out our reviews section as well where we provide detailed information regarding running costs for every electric razor we test. 2. Always consider an electric razor that is suitable to your particular needs. Your requirements for an electric shaver may and probably will be different than somebody else’s. Make sure you take into account the things that really matter. For example, what interests you the most? Is it the closeness of the shave, the comfort or the razor’s ability to be used wet and dry? Or maybe you have sensitive skin or have to deal with ingrown hairs. Whatever the case may be, make sure to prioritize and choose a shaver that is a good match for you and you alone. 3. 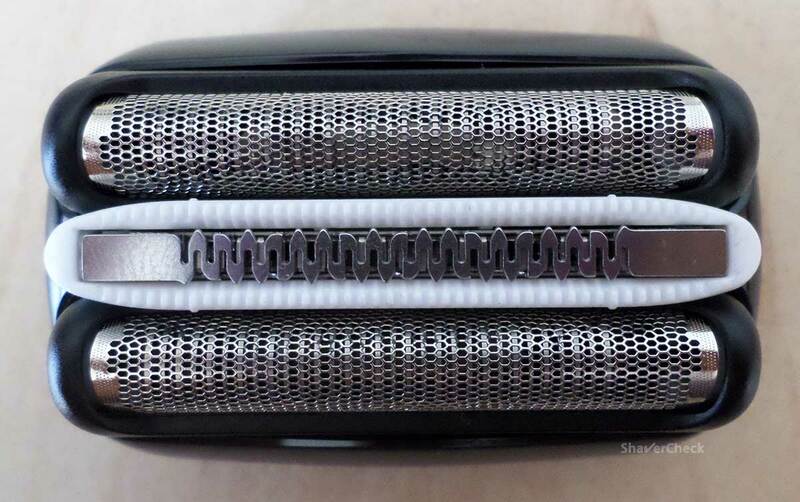 Resist the hype and don’t buy a shaver with a gazillion number of blades and features. As a first time user, you’ll be better off with a more basic shaver that’s easy to use, clean and to maintain in good working condition. Also, four or five blades are often overkill, especially if you shave daily. On top of that, these shavers also tend to be very expensive to buy and to run. You may also find that electric shaving isn’t for you, and since you have to wait up to a month for your skin to get used to the new way of shaving, you won’t be able to return the product. You don’t want to be the guy that spent a few hundred dollars on a product he won’t be using. In other words, one doesn’t have to break the bank for a razor that will do the job just fine. Foil vs Rotary: which one is better for beginners? While there is no straight or right answer to this question, I will give my 2 cents on the matter. I prefer foil shavers as my skin tends to get along better with them. Personal preference aside, foil shavers do have some particular traits that make them more suitable for absolute beginners. Foil shavers have a less steep learning curve. They’re dead simple in construction and operation: sharp blades oscillate behind a thin, perforated micro-foil that you move against the grain, applying very little pressure. Rotary shavers tend to cause some trouble to first time users and it takes more time for your technique to improve. Foil shavers are better for hard to reach areas like under your nose or for shaving around a goatee. This one is pretty self-explanatory; due to the construction of the cutting elements, foil shavers are just easier to work with when performing some maneuvers that require more precision and finesse. A wider selection of brands and models. The rotary razors market is dominated by Philips Norelco; there isn’t really any other viable option. On the other hand, there are loads of models from Panasonic, Braun and even Remington in the foil category. They are easier to clean and to maintain. We are of course not talking about razors that come with automatic cleaning stations. Manually cleaning a foil shaver is usually simpler and faster; some liquid soap and rinsing under tap water is all it takes. And this is how a basic cleaning goes for a rotary razor as well, but every once in a while you must perform a more thorough cleaning. This implies taking the whole shaving head apart and clean each individual cutting blade, one by one, then carefully putting them back together in the exact same order. And that’s a bit of a hassle. After all, we switched to electric shaving to avoid doing stuff. Some rotary shaver users may disagree with me and that’s totally fine, everyone should use what suits them best. But for me, and I think for the majority of first time users, a foil razor is the safer choice. Again, it is just my personal opinion on this rather polarizing topic. I started out with a foil Braun razor that my parents gave to me as a present. I don’t remember the exact model, but I do recall it being pretty awful. After every shave my face was a mess but for some reason I just sticked with it. My first electric razor that I bought after doing some research was a wet/dry Panasonic that provided much better comfort and performance. Enough with the boring stuff. Let’s put the advice into practice and check out some razors! What are some of the best electric shavers for beginners? In your quest for finding the best electric razor for first time shavers, here are a few of our favorite shavers to get you started. The ES8103S is a tried and tested shaver from Panasonic that’s been a best-seller for quite some time. And it’s easy to see why it would make a great choice for a beginner. It offers excellent performance for the money by featuring a powerful 13 000 CPM (cycles per minute) motor, excellent 30 degrees sharpen nano-blades and wet & dry operation. Moreover, it is dead easy to use, clean and to replace the foil and cutters. Speaking of which, you’ll be needing a new set every year, but the cost is pretty reasonable. For more in-depth details, make sure to check out our review of the ES8103S Arc 3 here. 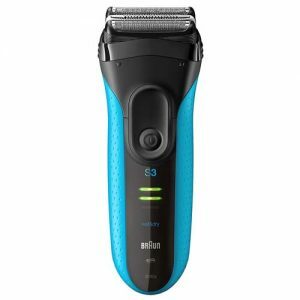 The Series 3 is an entry level line of electric razors from Braun that offers great performance and comfort at reasonable prices. Available in several variants, some of them suitable for dry shaving only, the Series 3 razors are another solid option for someone just getting started with electric shaving. The 3040S ProSkin is one of the most popular razors from the 3 Series line; with wet & dry operation, it provides close and irritation free shaves, being suitable for sensitive skin as well. It also features an excellent integrated pop-up trimmer, has solid build quality and it’s pretty quiet during operation (at least for a foil shaver). The 3040s from the refreshed Series 3 is the direct succesor of the older 340s-4. While this is more of a visual update — the new shaver being basically identical in terms of performance — the new Series 3 3040s can be purchased at an even lower price than the model it replaces. One of the best things about this shaver is Braun’s reputation for reliability and the low price of the replacement parts. Unlike Panasonic, Braun uses a cassette that integrates both the cutters and the foil and must be replaced only once every 18 months. To make the deal even sweeter, the price for a replacement cassette is significantly lower compared to other manufacturers. 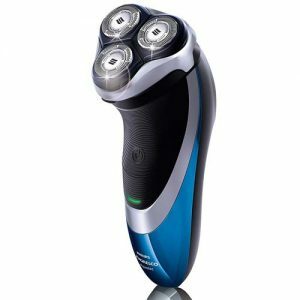 If you’re in the market for your first electric shaver, the Series 3 3040S is definitely worth considering, especially if you have sensitive skin. 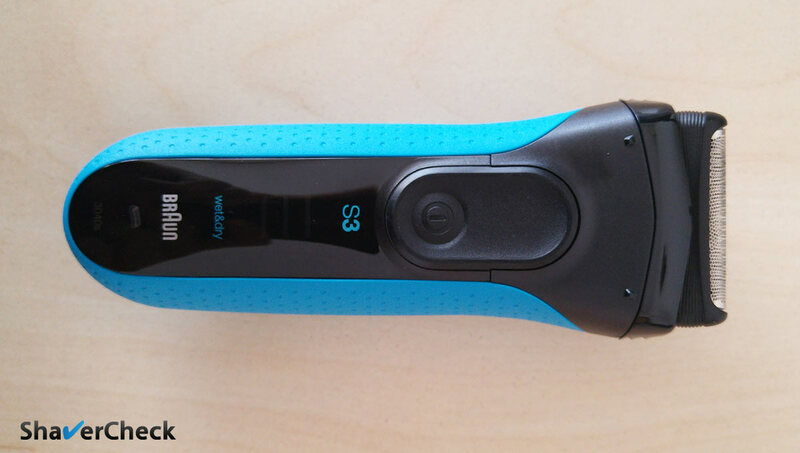 You can read our detailed review of this shaver here. 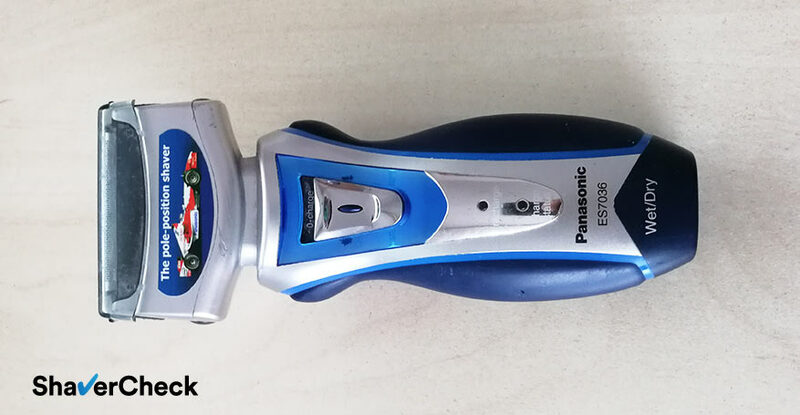 While the two shavers above will be good enough for most, the Panasonic ES8243A Arc 4 takes things a bit further and will cater to those that are more demanding. With its four cutting elements, it goes a bit against our third rule of thumb, but the overall size of the shaving head is quite compact despite the addition of a fourth blade and Panasonic did a great job in the ergonomics department. Highly similar in design and function to our first choice (the ES8103S Arc 3), the Panasonic ES8243A Arc 4 has a superior cutting head with four sharp nano-blades that will provide very close and comfortable shaves. Those more concerned with the closeness of the shave and fast shaving times should really consider this one. Having said that, the ES8243A is more expensive, but still reasonable and offers excellent performance for the money. As stated in our review, the replacement parts are however a bit pricey. If you think a rotary razor would be a better fit for you, then by all means you should start out with one. There is a wide variety of reasonably priced models from Philips Norelco to choose from. They generally offer good performance and the Aquatec models can be used for wet & dry shaving. 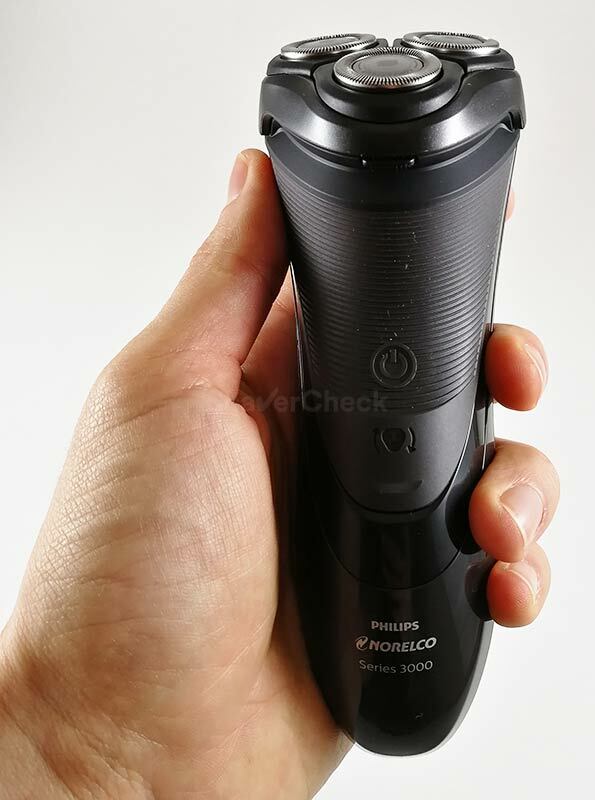 A razor worth checking out is the Norelco 4100 that we reviewed in the past. 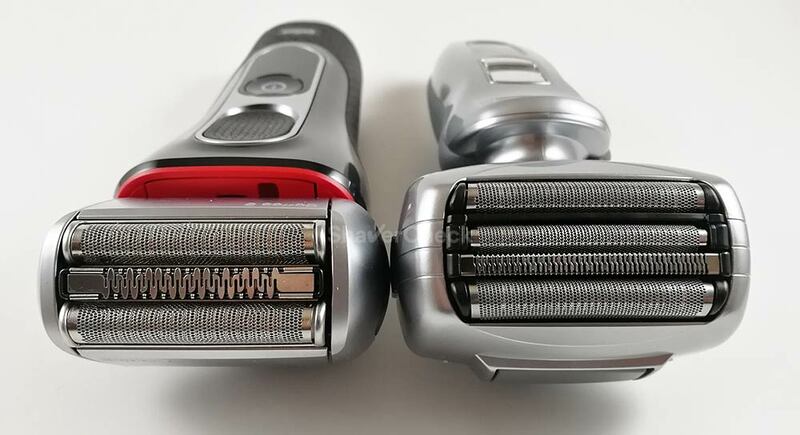 It offers great performance for the price, provides close and comfortable shaves, has an integrated pop-up trimmer and, being a rotary shaver, it’s also very quiet during operation. The fact that it’s pretty basic in its construction and function is definitely a plus, while the replacement HQ8 heads are durable and inexpensive. All of these make the Norelco 4100 a great choice for a beginner that is looking for an affordable, but still capable rotary shaver. Is an automatic cleaning station necessary? You have probably noticed that none of the recommended shavers come with a cleaning and charging station. I don’t think that the added costs (the cleaning cartridges can be quite expensive) are justified, especially since these are pretty basic, easy to clean and maintain razors. 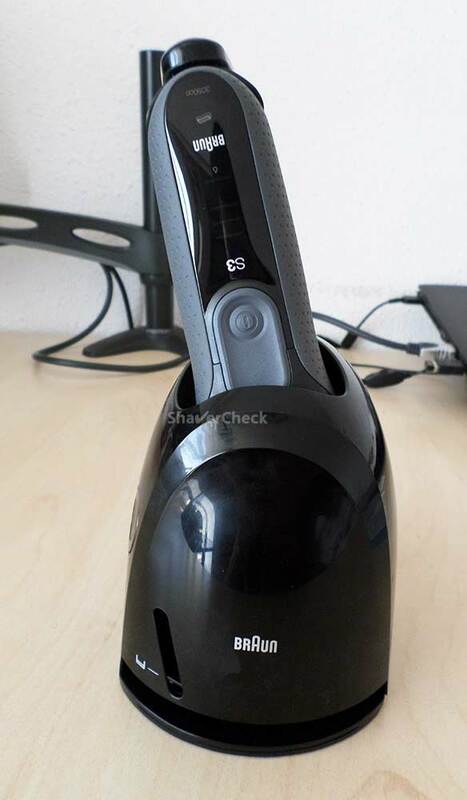 Some shavers do offer variants that come with a cleaning station (usually for a higher price) like the Braun 3 Series 3050cc-4 I reviewed here. Whether the convenience of a cleaning station is worth the extra money is totally up to you. All the shavers recommended in this post are budget friendly options, making them ideal for someone just getting started. However, they can’t really match the performance of higher-end shavers, like the Panasonic Arc 5 or Braun Series 9. Longer hairs are almost always a problem for basic razors, but they fare a lot better with short stubble. Therefore, shaving daily should improve the performance of an entry-level razor. 2. Use a pre electric shave lotion or gel. If you prefer to shave dry, a pre electric shave product will likely improve the closeness and the comfort of your shave. Check out this post for more details. 3. Clean and lubricate your shaver. This one is pretty self-explanatory. Thoroughly cleaning your shaver after every use and lubricating the blades are mandatory to keep it in great condition and performing optimally. 4. Try new techniques to improve your results. As a beginner, the closeness and comfort of your shave with an electric razor will likely need some improvement. This is perfectly normal and your technique will get better pretty fast. Make sure to check out my guide on how to shave with an electric shaver for the first time. 5. Give wet shaving a try. Yes, you can shave wet with an electric razor as well (if it was designed for wet/dry operation). While it implies a lengthier prep work, it can work wonders for some men. Give it a try and see how it goes. Hopefully these tips will come in handy when choosing your first electric razor. Just remember that the first time using it probably won’t go as smooth as you’d expect in terms of closeness and comfort. Your skin needs at least a few weeks to get used to electric shaving and your technique needs some time to improve as well. So take your time and enjoy your shave! Home » Articles & Guides » Best Shavers » What’s The Best Electric Shaver For Beginners? Would you recommend wet and dry over dry alone? I am a beginner and the new job requires me to shave a bit more regularly. How do they cope with 3-4 days growth. It’s the Panasonic ESST29 a decent starting point? the answer to wet vs dry is not so straight forward as it is a very personal matter. For some, myself included, wet shaving gives significantly better results, while for others the improvements are negligible. You must experience it yourself in order to make a correct assessment. As for a 3 to 4 days of growth, it again depends on how coarse is your facial hair and how fast it grows back. If you have very thick stubble that grows back pretty quickly even the more advanced and expensive razors can have some problems getting you a fast and smooth shave. Budget shavers are usually recommended for daily or every other day shaving. But if your facial hair is light to medium you can get away with more days between shaving sessions. The Panasonic ESST29 should be a good choice for a beginner, like all Arc 3 models that have a 13000 cpm motor (this one does). I am just a high school boy & have hairs mostly on my chin & under the nose . As a Beginner , I am quite confused if I must buy a FOIL or ROTARY Blade shaver . I may need to shave once a week only . Please advise an economical , easy to use , easy maintenance & cleaning and of course gives the BEST SHAVE . I would personally go for a foil shaver, they’re very easy to use and clean. Plus, I find foil shavers much easier to manoeuvre when shaving the area just below my nose, so I think they will be a perfect fit for you. Since you are a teenager your facial hair is probably light to medium, so a Braun Series 3 or Pansonic Arc3 are two very good options. The most economical of the two is the Braun, you can find them at great discounts and the replacement cassette is inexpensive. Check out the 340s recommended in this article or the 3040s, they are identical in terms of performance and also suitable for wet & dry use. I find the Panasonics to give a slightly closer shave and are also a bit faster, but their price and running costs are higher compared to the Series 3 from Braun. Performance-wise, I think you’ll be satisfied with either of them. Thank you for this article! I’m searching for my son who needs to shave for the very first time. He’s 14, and he is Autistic so I need the safety and ease of an Electric razor for him. You are very welcome, I’m glad to know you found the article useful. Hi. I’m 15 and for the past couple of months have been trimming my facial hair with a hair clipper. Which foil shaver would you recommend? I have a small moustache, a small goatee and a bit on the chin. It doesn’t grow back fast. I trim it 3-4 times a month. Something beginner friendly? A Panasonic Arc 3 ES8103S would be my recommendation in your case. It is very easy and straight forward to use, cleaning is a breeze and it has more than enough cutting power. It is a wet/dry electric shaver, fully waterproof so you can rinse it under hot tap water without any worries. It’s also reasonably priced and since you have very light facial hair, the foils and blades will last for a long time before needing to be replaced. Another equally good option is the Braun Series 3 3040s ProSkin. It is very similar to the Panasonic with regards to costs and performance, but I find it to be a bit gentler to the skin. Do all shavers operate for left handed people,or do they have to purchase special left handed shavers. Yes, all electric shavers can be operated by left handed people as well. Hello I am a teenager ..I have facial hair mostly in my chin and upper lip light hairs…so what would be best ..
There’s no right or wrong answer here and it mostly depends on your preferences. A trimmer will only trim facial hair, while an electric shaver will get you a clean shave. Since you have a light beard, the Panasonic Arc 3 or the Braun Series 3 recommended in this post will be more than suitable for the job. Both can be used wet or dry, so you can give each method a try and see which one works best for you. Thank you so much for this article. I also have a son who has to start shaving off the bit of hair on his lip. We waxed it a couple of times but I think its time for one of those Braun jobs. Thank you for your comment, I’m really glad you found the information helpful. Any thoughts on what shaver would be best to provide for nursing home staff to use for a resident who cannot shave himself? I have purchased three shavers for him in 12 months – recommended Braun twice and recommended Philips once. Nursing home reports his beard is so tough it wears out the shavers that quickly. Philips was returned to me, with guard that holds rotary blades in place missing and one rotary blade broken into two halves, so I suspect a different issue. What I need is a shaver that is easy for care aids to use, clean and maintain. I cannot expect them to read a manual. I am grateful for their care of the resident. Replacing the shaver every 4 months is little to pay for their care, and luckily the resident can afford it. 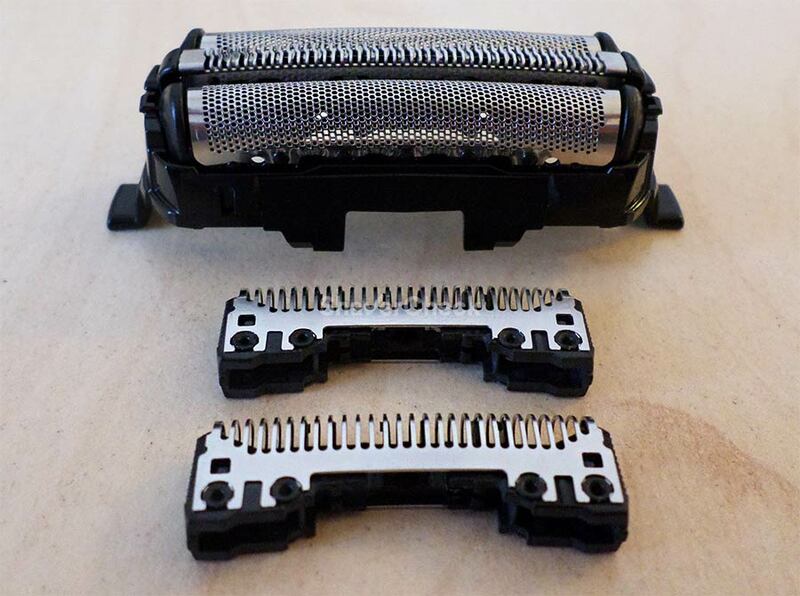 The lifespan of a shaver’s foils and blades depends on several factors. Those include how often it is used and how well it’s being cared for (cleaning and lubrication). In this particular situation, a Panasonic shaver would probably be suitable for the job. They’re really good for coarse beards and are very easy to clean manually with a bit of liquid soap and hot tap water. Two models that I highly recommend are the ES-LA63-S Arc 4 and the ES-LV65-S Arc 5. Those two are also available with automatic cleaning stations (ES-LV95-S Arc 5), but again in this situation a cleaning station may actually complicate things instead of making them easier. A cleaning station takes care of cleaning and lubrication, but requires changing the cleaning fluid on a regular basis (and that one must be supplied as well). If that’s not a problem, then performing an automatic cleaning after every use will no longer require any other intervention from the caretaker. I highly recommend getting a spray cleaner & lubricant like the Remington Shaver Saver if the shaver won’t come with a cleaning station. I’m pretty sure that the premature wear of the previous Braun and Philips shavers was accelerated by the lack of lubrication. A spray is cheap and very easy to apply — it literally takes seconds, but it will make a difference. It could also be a more practical alternative to cleaning the shaver with soap and water. That really depends on your budget. If it’s rather limited, the Braun Series 3 3040s or the Panasonic Arc 3 ES8103S (both mentioned in this post) will do, especially if the shaver will be used more often. Entry-level shavers aren’t great with longer facial hair. If you can stretch a bit more, there’s the Panasonic Arc 4 which is a step up in performance, but consider it only if his facial hair is rather coarse and dense. All of them are easy to clean and to use, just make sure to read the user’s manual as well.